Running especially when done with a friend or love one, is truly a fun and exciting way to achieve a fitness goal or to get back on track to a healthy and active lifestyle. This showed in the bright faces of hundreds of running pairs who took part in Robinsons Supermarket’s 10th Fit & Fun Wellness buddy Run at the Parade Ground of Camp Aguinaldo in Quezon City. In line with the Robinsons Supermarket’s wellness campaign to continuously encourage more people to choose and live healthier lifestyles, the fit & fun Wellness Buddy Run gave everyone an opportunity to partner with friends and family, and run together towards the finish line. Through the years, fit and Fun Buddy Run has been a much anticipated event for lot of people. Its’ our kick off as we celebrate with the nation, Well and Nutrition month. 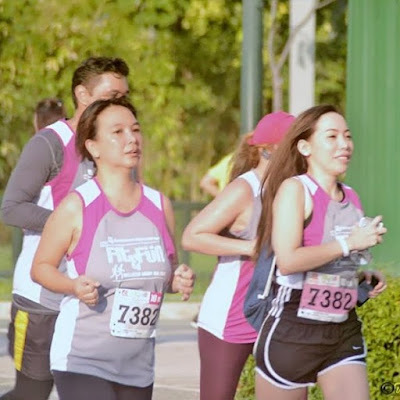 It provides a fun gateway activity for fitness newbies who are just about to start their wellness journey and loyal runners, “said general manager of Robinsons Supermarket, Mr. Jody Gadia. Coach Jim and Toni Saret prepped-up the runners with a short work-out and invited them to register on site for the Fit Filipino 1 Million Pounds National Weight Loss Challenge, the biggest on ground and on line wellness program in the country which aims to encourage everyone to pledge and lose weight. The Fun Run is just one of the programs this July. Robinsons Supermarket is also giving away Healthy You snack platters for a minimum purchase of P 3,000.00 inclusive of P 500 worth of participating items of the Wellness Festival.